Backup4all Lite 7.4 was available as a giveaway on September 22, 2018! How would you improve Backup4all Lite 7.4? Synchredible is fantastic. And incredible. The plugins you can get from their website appear to be made 6 years ago, and contain several programs which don’t exist any more. Whilst you might use some software that is old, some of them just won’t work any more without having the updated version. I don't see any difference from simply zipping the files and storing them elsewhere. I'll stick with Macrium Reflect it is good for entire disks and restoring individual files. My real email provided has been blacklisted, huh! Deleted, what else to do? My real email provided has been blacklisted, huh! Deleted, what else to do? It was on one of the splash screens (the first one?) when installing the program. I was very interested because I was in search of a program like this and had the idea that it would be my lucky day, but unfortunately it does not work out . This program was outdated. The installation package is not working! I do not like ZIPPED files as backup, reason, when ever you look for specific file from the archives, you have to restore the whole archive, sometimes in GB sizes and that is very frustrating. 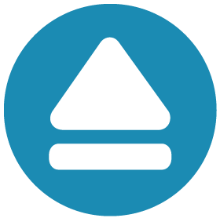 Furthermore, you have to stay on the same version forever, otherwise you have to purchase a new version and convert the backup to the new format (every version from 3-7) has its own compression scheme and is not compatible without conversion. Then there are Backup Plugins for specific software you want to backup that needs to be installed and there is the Restore Wizard that restores the files in the same folders as the originals and can overwrite your present data with outdated one. Having software that runs in the background 24/7 just to back up few bytes or few MB and then compressing it, can not be called light backup. The worst part is that there is no index of the specific files backed up and associated with the zipped files. Imagine you need a file from the last year backup and you have a big number of USB drives with zipped file on them and unzipping them all will take hours of work just to find that specific file. For home use, just do copy folder to a specific or same folder name on a USB drive or stick, done in few minutes and you can access and work from those files after the backup (duplicate folder on different places) and you can do as many such back ups as you want, uncompressed and ready to use. 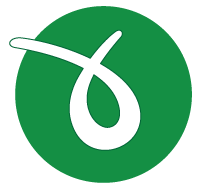 I do not like ZIPPED files as backup, reason, when ever you look for specific file from the archives, you have to restore the whole archive, sometimes in GB sizes and that is very frustrating. Furthermore, you have to stay on the same version forever, otherwise you have to purchase a new version and convert the backup to the new format (every version from 3-7) has its own compression scheme and is not compatible without conversion. Then there are Backup Plugins for specific software you want to backup that needs to be installed and there is the Restore Wizard that restores the files in the same folders as the originals and can overwrite your present data with outdated one. Having software that runs in the background 24/7 just to back up few bytes or few MB and then compressing it, can not be called light backup. The worst part is that there is no index of the specific files backed up and associated with the zipped files. Imagine you need a file from the last year backup and you have a big number of USB drives with zipped file on them and unzipping them all will take hours of work just to find that specific file. For home use, just do copy folder to a specific or same folder name on a USB drive or stick, done in few minutes and you can access and work from those files after the backup (duplicate folder on different places) and you can do as many such back ups as you want, uncompressed and ready to use. Can this be used to mirror a network folder and a local hard drive so that they both contain the same stuff all the time? For example a 2 way sync. Anything that's in folder 1 that is not in folder 2 syncs to folder 2 and vice versa. You're after file sync software, the good news being that there are loads of candidates -- Google. Telston, You're after file sync software, the good news being that there are loads of candidates -- Google. 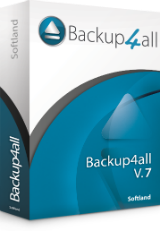 Backup4all Lite does not offer incremental or differential backups at all, user-friendly features whose absence leave it way behind opposition like Ascomp's long-established 'Synchredible', which continues to remain free for personal use. Plenty of other big name developers are equally generous. Thanks, GOTD, but I'll pass. Though this developer's standard product -- unsurprisingly titled "Backup4all Standard" -- is competitive in this sector, today's "Lite" version is literally that: so lightweight that it's trounced by plenty of existing freeware. As this feature comparison shows: http://www.backup4all.com/compare-products.html Backup4all Lite does not offer incremental or differential backups at all, user-friendly features whose absence leave it way behind opposition like Ascomp's long-established 'Synchredible', which continues to remain free for personal use. Plenty of other big name developers are equally generous. Thanks, GOTD, but I'll pass. Carolyn , When I went to install the program it said there was a newer version available, I declined it and it activated fine. Don't understand why the giveaway would be an older version. - when you launch the program, click on activate (and not on get the activation key ... which would open the page you mention) and there, insert the activation key you got. Good luck! Carolyn , It is for real but: to get your activation key: - download the zip filr, go (as indicated in the read file in the zip) to http://www.backup4all.com/free/gaotdb18.html as explainer and fill-in the form; you will get a message with the activation key, - install the program by clicking the setup file in the zip and by refusing the new version proposed when the installation starts; - when you launch the program, click on activate (and not on get the activation key ... which would open the page you mention) and there, insert the activation key you got. Good luck! Hi, does this support backing up to a user defined PATH? For example, I have a cloned drive in my tower, I would like to backup a folder to the SAME folder on the cloned drive as is the source PATH. Is this supported? Can you backup without the use of compression? Heavily crippled app. They are many more freeware alternatives with similar or bettered functions.